An RCD is a sensitive safety device that switches off electricity automatically if there is a fault. 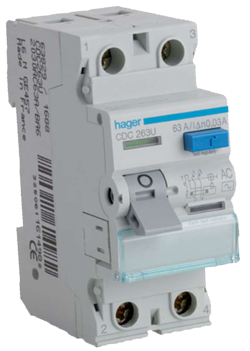 An RCD is designed to protect against the risks of electrocution and fire caused by earth faults. For example, if you cut through the cable when mowing the lawn and accidentally touched the exposed live wires or a faulty appliance overheats causing electric current to flow to earth. The phenomenon commonly referred to as 'green goo' is one that has affected electrical installations ever since the late 1960s and it seems that it is a problem that could be with us for some time to come. A recent increase in the number of reports received by the Electrical Safety Council indicates that the problem caused by green goo remains ever-present. The reasons for the increase in reports may be related to the economic downturn, in particular the growing trend for householders to improve their home rather than to move house. The insulation on flat twin and earth cable is made from polyvinyl chloride (PVC) to which a plasticiser, diisoctyl phthalate is added during manufacture to make the cable relatively pliable to aid cable installation. Green goo is a side effect formed during the chemical reaction between the plasticiser of the insulation and the copper conductor that occurs when the conductor temperature nears its maximum operating temperature (typically 70 oC). At such temperatures the plasticiser can leach from the cable causing the insulation to become sticky to the touch initially but as the leaching continues the cable insulation becomes hard and brittle. The problem was most prevalent between 1965 and 1971 when an antioxidant was introduced into the manufacturing process. Cable manufactured since the mid 1970s does not have the same inherent defect. 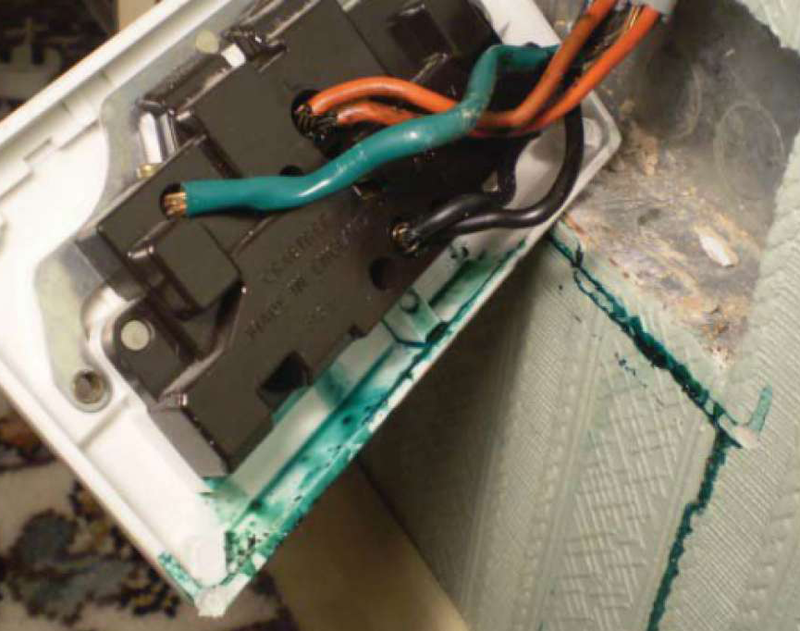 If the green goo is restricted to that of leaching of plasticiser then evidence suggests that, although unsightly, the electrical integrity of the cable insulation will not be reduced if the cable is not disturbed. However, if the green goo is severe it can result in the cable insulation becoming brittle whereby the insulation quality may be significantly impaired, which could lead to electrical faults, including an increased risk of electrical fires. Consequently, where green goo is discovered tests should be carried out to determine the extent of the affect on the cable insulation. The green goo may also have detrimental effects on accessories (in appearance and functionality terms) and their decorative finishes. Unfortunately, where an electrical installation is seriously affected by green goo, the only practicable solution is to rewire the premises and replace any related affected electrical equipment. Simply replacing affected electrical accessories and equipment and re-decorating is likely to be only a temporary improvement measure and the green goo will evidently re-occur. There are a number of simple steps that gas consumers can take to keep themselves safe. Carbon monoxide can be produced by any combustion appliance, including those that burn fossil fuels e.g. oil, wood and coal. If you have one of these appliances you should make sure that it is serviced and maintained by a competent person and the chimney is regularly swept. Also installation of a carbon monoxide alarm is strongly advised. 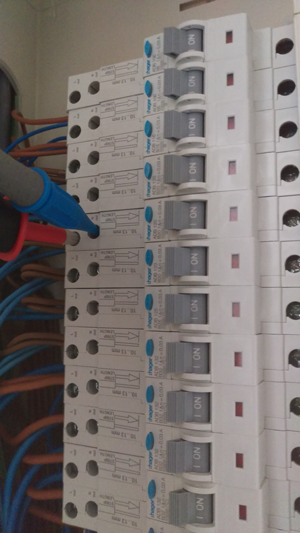 Once completed you will be issued with an Electrical Installation Condition Report (EICR).